Arthur Hays Sulzberger began working at The New York Times in 1918 and became its publisher in 1935 when his father-in-law, publisher Adolph Ochs, died. 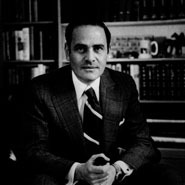 Sulzberger remained publisher until 1961. During his tenure, the paper's daily circulation rose from 465,000 to 713,000, the staff more than doubled, and gross income increased almost sevenfold. Under Sulzberger, the Times began to publish editions in Paris and Los Angeles with remote-control typesetting machines. He also built the Times radio station, WQXR, into a leading voice for news and music.